Go to SALES -> BILLS to view sales list. 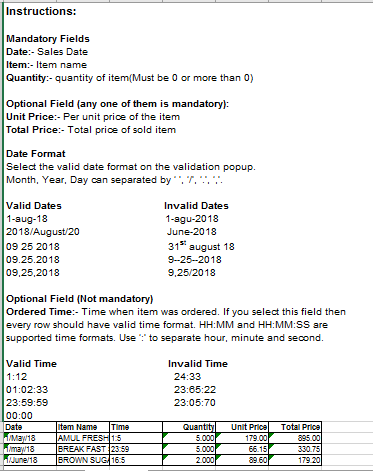 Date wise itemized sales report are listed in this page. 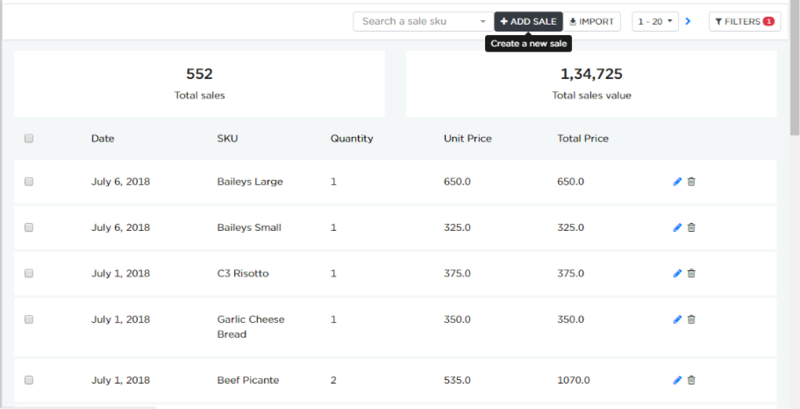 Click ADD SALE button to add the sales of items. As shown in above example, enter the sales details for a particular item and Click Update to save the sales. 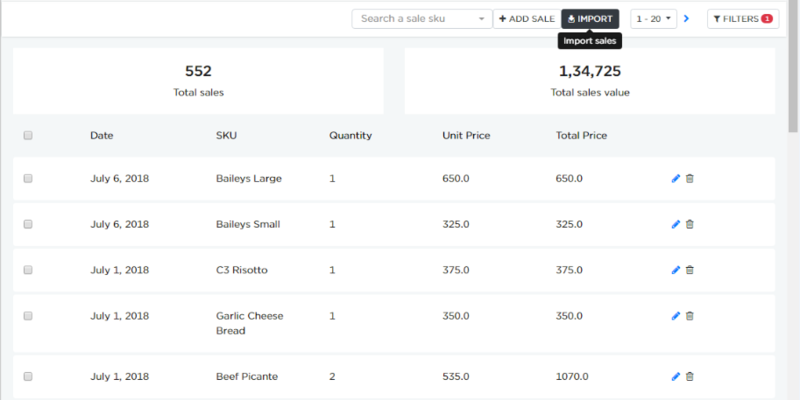 Click IMPORT button to import your sales data.This is typically useful if you have recorded sales in excel sheet or can export from your current software to import into EagleOwl. 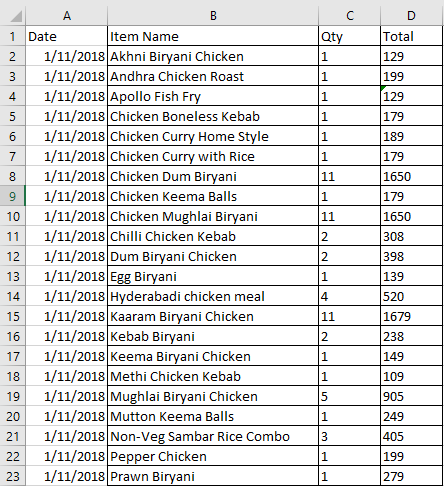 Click IMPORT SALES DATA to upload the excel sheet. 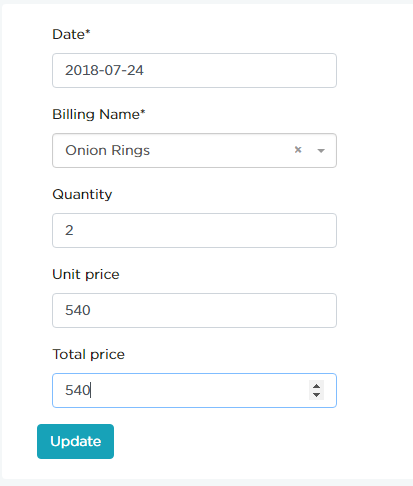 The bills created by your billing software should contain columns for date, name of the product, quantity sold and the price. Once all the columns are mapped, click Validate for data validation. System displays a message after the completion of data validation, later you can click Submit Data for data submission. System displays the submission status of the data present. As shown in above example, if status of the data present is success, it will be uploaded in the SALES -> BILLS page. For the rejected data i.e., the data with the error status, system will automatically generate a excel sheet where you can edit and rename the sheet and later import it again. In case if the excel sheet is not downloaded automatically, you have an option at the top to download. Click on Go to sales list to view the imported sales.